Several sources familiar with the situation told Reuters that China - one of the Venezuelan government's few remaining international allies - had proposed not inviting representatives from either the Maduro or Guaido camps to "de-politicize" the meeting. Discussions to try to resolve the issue are ongoing among IADB member countries, and a final decision has not yet been taken, the sources said. China's embassy in DC was not immediately available to comment on the issue. But a senior official in President Donald Trump's administration - which has backed Guaido as Venezuela's legitimate ruler - said the United States and its regional allies would "pull quorum" from the meeting in Chengdu if Hausmann was excluded. The move likely would derail the meetings, which bring together finance and development ministers from the lender's 48 member countries. 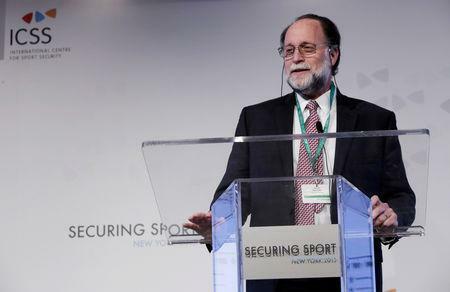 "China's unwillingness to recognize and provide a visa to Hausmann is a breach of long-established Inter-American Development Bank protocols and procedures," the U.S. official told Reuters. "If China refuses to recognize and provide Hausmann a visa, the United States and its regional partners will pull quorum on the annual meeting," the official added. With relations between Washington and Beijing marred by an acrimonious trade dispute, U.S. officials have expressed concern in recent months at China's growing influence in Latin America - a region Washington has long regarded as its backyard. Maduro, who still has the support of Venezuela's military, has clung to power with the support of Russia, China and Cuba. The diplomatic tug-of-war over who is Venezuela's legitimate leader has become an uneasy issue for global institutions like the IADB, the International Monetary Fund and World Bank, which like to be seen as above the political fray. Washington has imposed sanctions on Venezuela's oil sector and announced asset freezes and visa bans targeting top officials in Maduro's government.